P-835 is an Ilyushin Il-18D (c/n 188011205 / 11205). 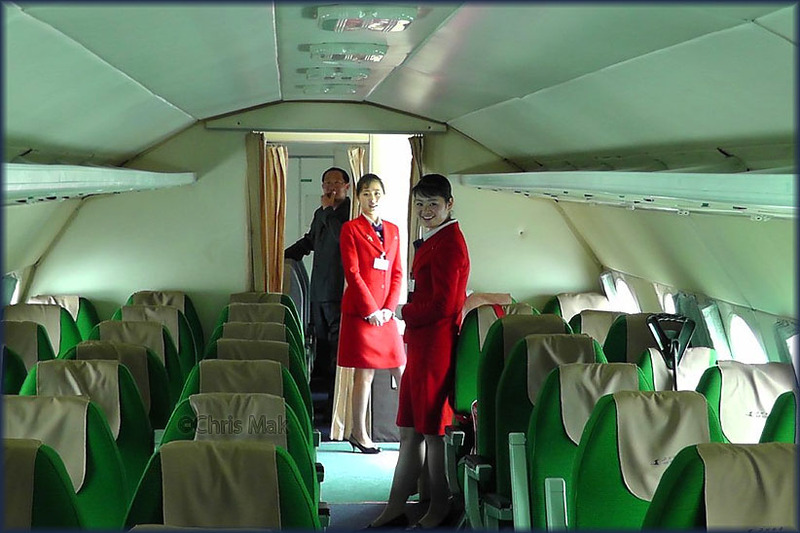 Cabin staff of the IL-18D P-835: charming! 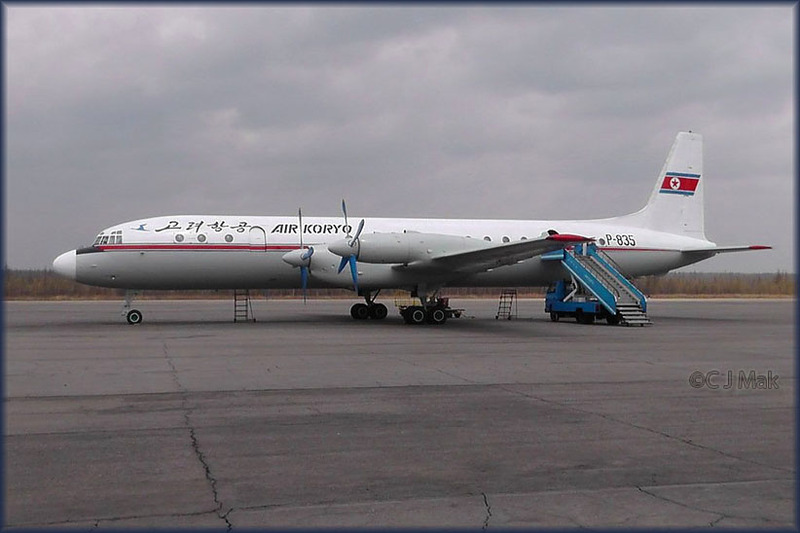 The tour group enjoyed an hour's flight, from PYONGYANG to SAMJIYON, to see Mig-17s based there. 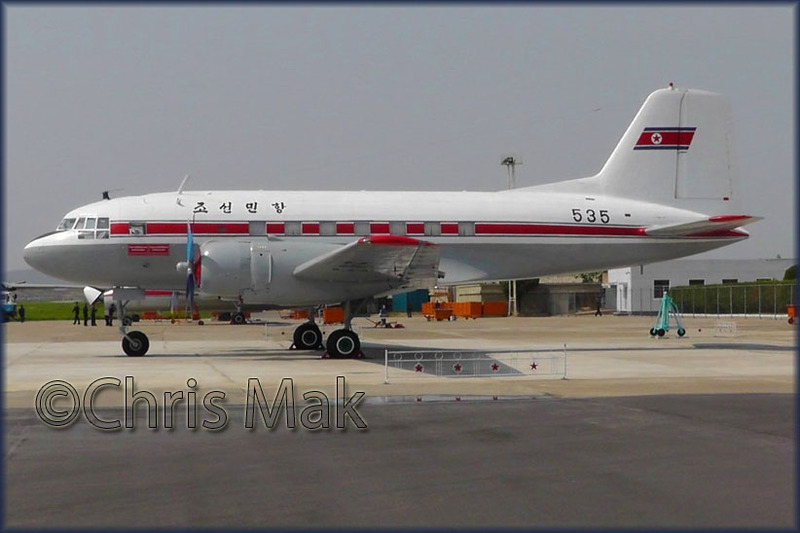 Chris Mak went on an organized aviation enthusiast tour to North Korea! This must have been the highlight of this trip by JucheTravelServices (under sterling guidance by David I have to add!" alternatively check http://www.airlinehobby.com/listings/categories/index.cfm and look for 'C J Mak Slides' in both columns..